Vous êtes ici : Accueil»Case study»The RIMOWA R-cademy is clear for take-off! Luxury luggage brand launches exciting new mobile learning app to enhance training experience of its sales teams. 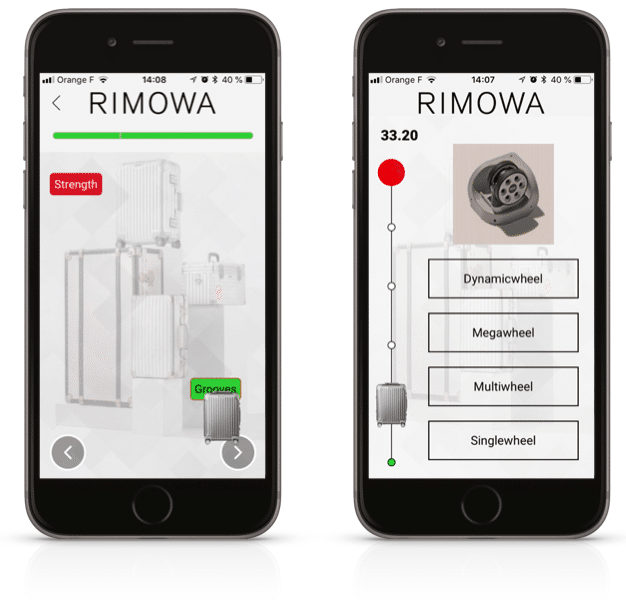 Last November 6 saw the launch of R-cademy, the brand new mobile learning app created by RIMOWA, one of the latest clients to deploy a Teach on Mars solution for the first time. A global leader in the luxury luggage market for generations, RIMOWA is bringing its training strategy and offer bang up to date with the introduction of this ultra-modern, ultra-connected learning environment. The company was created in 1898 in Cologne, Germany and has a long and rich heritage of craftsmanship and innovation. It introduced metal suitcases to the world in 1937, and added the iconic grooves that are still the brand’s visual signature today in the 1950s. Since 2016, RIMOWA has been part of the LVMH Group, and so joins a long list of LVMH houses that are already offering a mobile learning experience to their teams thanks to Teach on Mars. Led by RIMOWA Chief Client Officer Lisa Heidemanns, the project to build the app, design and create the launch content, develop the deployment strategy and launch the initiative worldwide took less than four months from start to finish. The whole process, carried out to tight deadlines with limited resources, was a great example of creativity, energy and collaboration between the RIMOWA and Teach on Mars teams. And the decision to create engagement and a “wow effect” by revealing the new app to the global RIMOWA community at a special event coinciding with the worldwide leadership seminar attended by around forty General Managers – and the CEO – is a definite best practice. In next month’s Newsletter we will present a full ‘Making Of” business case that will take you behind the scenes of what it took to get this ambitious project up and running.